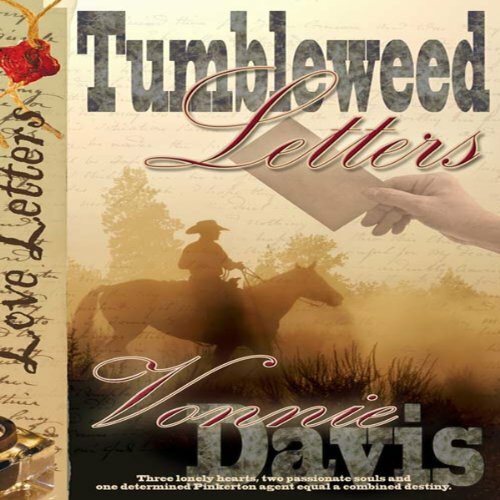 Showing results by author "Vonnie Davis"
When rancher and single father Cam McBride finds a letter tucked in a strip of cloth tied to a tumbleweed, he is captivated by the mysterious author. Finding a second tumbleweed letter further pulls him under the lonely writer's spell. He needs a mother for his little boy and a wife to warm his bed. Could this mysterious woman fill his needs? Sophie Flannigan is alone, scared, and on the run from a rogue Pinkerton agent. She spends her days as a scrub lady at Madame Dora's brothel and her nights writing notes to the four winds.